In this section, we will implement the reusable forms: CustomerDetails, OrderDetails and ProductOrders. Create a new "CustomerDetails" form as shown in the screen capture. Form display fields: Customer Name, Customer Email, Customer Phone. 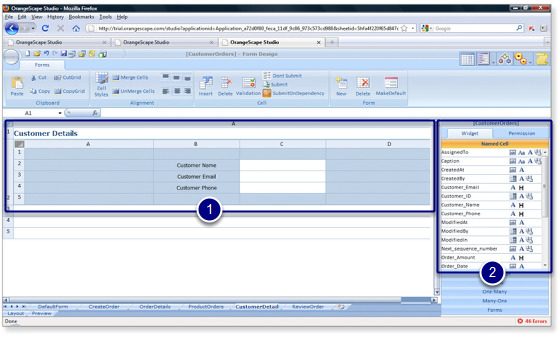 Add the labels for customer name, customer email and customer phone using the named cell widget. 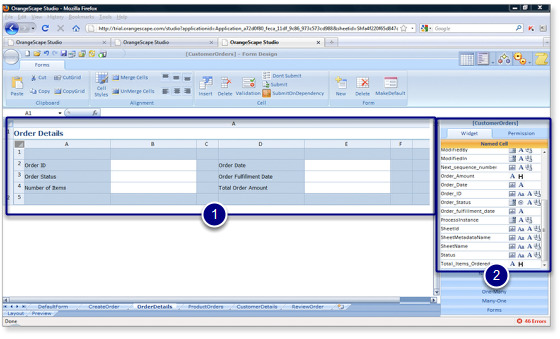 Create a new "OrderDetails" form as shown in the screen capture. Form display fields: Order ID, Order Date, Order Status, Order Fulfillment Date, Number of Items, Total Order Amount. Add the labels for Order ID, Order Date, Order Status, Order Fulfillment Date, Number of Items, Total Order Amount using the named cell widget. Create a new "ProductOrders" form as shown in the screen capture. 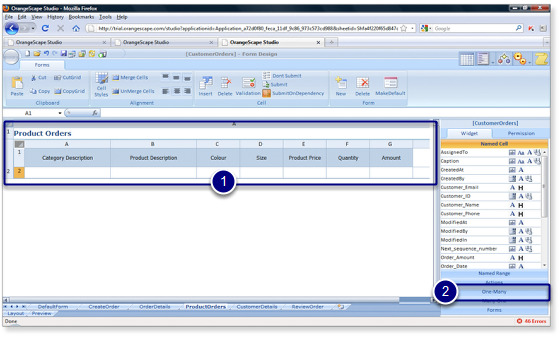 Insert the product orders form fields using the one-many widget. Replace the default input form fields with label fields using the name cell widget.